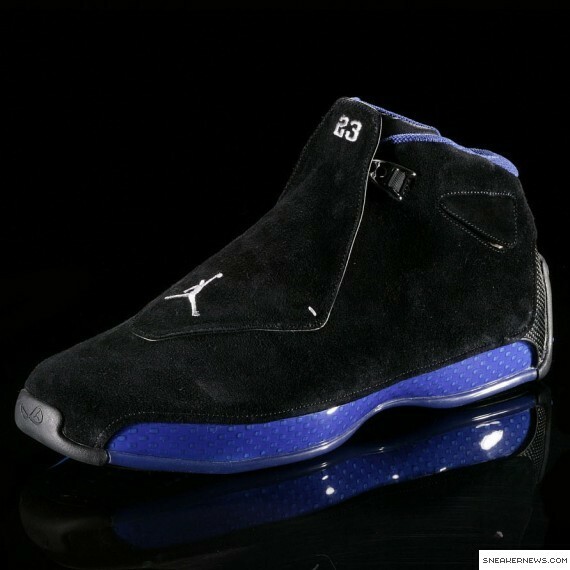 Saving one of the best for last, the XVIII with its radical one-piece upper and Comfort Control Plate, is worn by Michael Jordan on April 16, 2003 for his last game in the NBA. MJ’s last game shoe also has many firsts. Inspired by Italian high-performance racing cars, the XVIII employs a virtual one-piece upper in addition to a patented carbon fiber Comfort Control Plate and dual-layer Zoom Air cushioning.